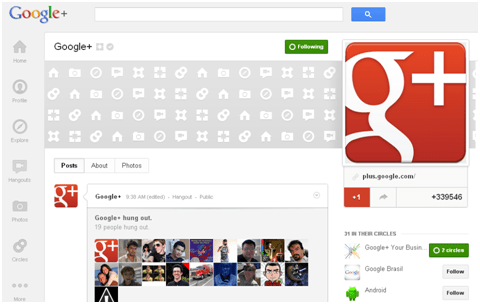 Google’s social network got a redesign recently that makes it prettier and easier to navigate. One of the changes that I’m highlighting in this article is the change to page layouts. The cover photo now sprawls across the top of your profile and your profile image is allotted more space on the top right. You’re free to use your header image to promote your business or product or include a call to action. You’re not restricted from adding promotional messages as on Facebook. You can choose whether you’d like to continue to feature five photos at the top of your page or select one main cover image (like Facebook). To change your photo strip, simply click the “Edit Profile” button at the top of your page and click on your photo strip. You’ll then get the option to have one panoramic cover photo or five small scrapbook photos. If you choose to have one header photo, make sure the cover image is 940 pixels x 180 pixels. Recommended file formats: jpg or png. Also pay attention to how your profile photo looks in the new layout. The logo appears larger now, so make sure your picture doesn’t look grainy with the recent update. The minimum profile picture width is approximately 250 pixels x 250 pixels. If you choose to keep using scrapbook photos in your strip, your photo strip images will continue to be displayed at 110 pixels x 110 pixels. With over 100 million active users, Google+ is fast becoming the enterprise social networking tool of choice for savvy office workers. It also has monster potential for Search Engine Optimization since your profile is your Google profile. 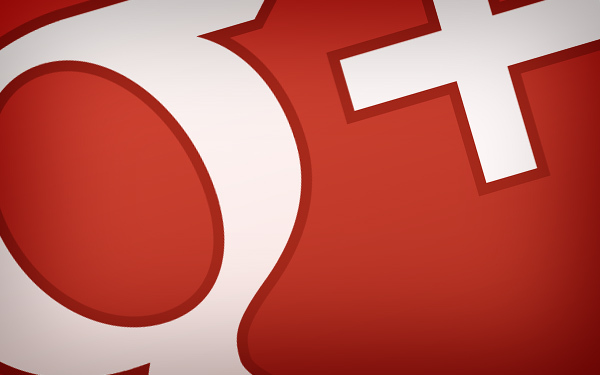 Here are three tips to help you learn more about using Google+. Tag Someone in a Post. Facebook uses the “@” symbol followed by someone’s name to tag a person in a stats update. To tag a person in an update on Google+, type the “+” symbol, followed by their username. As you type, Google+ will autofill possible options. Drag and Drop from Your Desktop. There are two ways you can add photos, videos and links to an update in Google+. First, you can click on the camera, video or paperclip icons, then search your desktop and folders and upload it. Or, an easier method: simply drap and drop the picture, video or link from your desktop into the share box.